The lead engineer for the International Space Station (ISS) payload and integration engineering groups for The Boeing Company in Houston, Texas, Dr. James Allen works closely with NASA officials as an expert on microgravity environments for ISS science experiments. The recipient of multiple achievement awards from Boeing and NASA, he has successfully served as the project lead and payload developer for multiple projects and flight experiments benefiting the space program. While working at the Jet Propulsion Lab (JPL) in Pasadena, California, and serving as a space grant fellow at Vanderbilt University, he contributed to a number of other projects related to the space station and the space shuttle programs. In addition to the extensive research he conducted while at the JPL and Vanderbilt, Allen also trained astronauts to conduct experiments aboard the space shuttle and the ISS. The 1979 Eastern Illinois University physics graduate, who minored in mathematics, earned his master’s degree at UCLA and his Ph.D. at Vanderbilt. 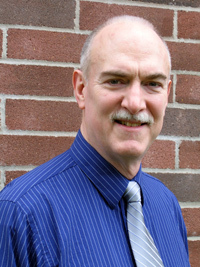 Prior to joining Boeing in 1998, he served on the faculty in the physics department at EIU for four years. A member of the EIU Alumni Association and former member of the EIU College of Sciences dean’s advisory board, he and his wife, Anne ’78, ‘79, reside in Seabrook, Texas. Robert Corn-Revere is a partner in the Washington, DC, office of Davis Wright Tremaine, specializing in First Amendment and communications law. He has been recognized with numerous accolades, including recognition as one of the Top Ten Communications Lawyers in the DC Area by Legal Times in 2007 and as one of the Top 100 Outside Counsel Power Lawyers in the United States by The Hollywood Reporter in 2008. Serving as lead counsel for CBS in challenging the Federal Communications Commission’s fine against the television network for the 2004 Super Bowl halftime show featuring Janet Jackson and Justin Timberlake, he has successfully argued other cases in the front of the US Supreme Court, as well. In 2003, Corn-Revere successfully petitioned Governor George Pataki to grant the first posthumous pardon in New York history to the late comedian Lenny Bruce. Formerly chief counsel to the FCC chairman, he has written extensively on First Amendment and communications-related issues and provided expert testimony before various congressional committees. 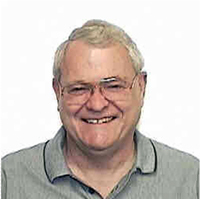 The 1977 Eastern Illinois University journalism and speech communication graduate earned a master’s from the University of Massachusetts and his law degree from Catholic University. He resides in Lovettsville, Virginia, with his wife, Sigrid Fry-Revere. Ed Escalante serves as vice president and general manager McKesson Pharmaceutical where he is responsible for the sales and distribution of ethical and proprietary drugs and equipment to McKesson clients in California and the Pacific. A recipient of the McKesson President’s Award for service, he is a member of several task forces responsible for matching the company’s resources with the needs of today’s pharmacies. 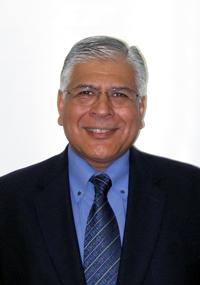 Escalante also served as a market president for Alliant Foodservice and the western vice president of distribution at Baxter International after beginning his career at American Hospitality Supply. Earning his degree in marketing in 1973 from Eastern Illinois University, he later earned a master of business administration degree from Pepperdine University. The 2008 recipient of the EIU School of Business distinguished alumnus award and a former member of the school’s business advisory board, he is also a veteran of the United States Army. He and his wife, Susan ’74, reside in Oakland, California, and Kapolei, Hawaii. 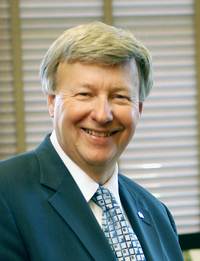 Having worked in a variety of positions at Eastern Illinois University during his 41-year career at the institution, Lou Hencken served his final six years as the university’s 10th president before retiring in 2007. After beginning his career as a graduate assistant in student affairs, he advanced through the housing ranks as a counselor and both assistant and associate director prior to being selected as director in 1975. In 1989, he was named associate vice president for student affairs and served in that position until being named vice president in 1992. Hencken, a former football official who worked five NCAA playoff games including the 1989 Division III national championship, was also interim director of athletics from 1996 to 1997 when the Panthers won the Ohio Valley Conference All-Sports Championship. He received his bachelor’s degree in social sciences in 1966 and his master’s in guidance and counseling in 1967. Currently teaching part-time in the counseling and student development department at EIU, he has been an active member of the community, including serving on the Credit Union 1 board of directors and six years as chair of the Sarah Bush Lincoln Health Center board. A member of the EIU Alumni Association, which named the organization’s service award in his honor in 2007, he and his wife, Mary Kay ’81, ‘83, reside in Charleston. 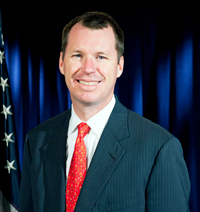 Tim Manning was confirmed by the United States Senate as the deputy administrator of the Federal Emergency Management Agency for National Preparedness in May of 2009. He is charged with providing guidance and overseeing efforts to prepare the nation to prevent, protect against, respond to and recover from emergencies and disasters resulting from all types of hazards, terrorist attacks, accidents, and natural hazards, including the oversight of $4 billion in grants and assistance. Prior to this assignment, he served as New Mexico’s secretary of homeland security and emergency management, as well as homeland security advisor to the Governor. He was named the unit's first director by the governor in 2007 and previously served as a deputy cabinet secretary in the state’s department of public safety. Manning has a diverse background in emergency services, working in a number of positions in the state's emergency management agency after entering as the hazardous materials response program coordinator and eventually becoming the agency's director. Prior to his service with the state and the federal government, he worked as a firefighter, EMT, rescue mountaineer and hydrogeologist. Having earned his geology degree in 1993 at Eastern Illinois University, he is also a graduate of the executive program at the Naval Postgraduate School’s Center for Homeland Defense and Security. He and his wife, Sarah, reside in Alexandria, Virginia, with their daughter. A 39-year employee of Caterpillar before retiring in 2008, Tom McDaniel began his volunteer service to Eastern Illinois University when he joined the business advisory board in 1994. The 1969 accounting graduate served nine years on the board, including two terms as chair, and provided leadership in advancing several of the group’s initiatives. Highlighting their many successes during his tenure on the board was the establishment and funding of the Securities Analysis Center for the finance program, which provides students with a state-of-the-art learning environment unmatched by many peer institutions. They also redefined its mission to allow for more alumni participation and input on significant issues while establishing and providing funding for the first full-time philanthropy position in the Lumpkin College of Business and Applied Sciences. McDaniel was also instrumental in recruiting scores of fellow alumni to work at Caterpillar, joining the more than 275 currently employed in management positions. Following his retirement as chief financial officer of the company’s building construction products division in North Carolina, he and his wife, Linda, moved to Fishers, Indiana. Currently the chief financial officer for Community Unit School District #300 in Carpentersville, Dr. Cheryl Crates has spent most of her career in administrative positions since entering the profession as a math, health and physical education teacher in 1972. As the assistant superintendent for personnel/business services for the Madison elementary school district in Phoenix, Arizona, from 1987 to 2001, she was responsible for a budget of $170 million in operating funds and $185 million in construction spending supporting 19,000 students. Prior to that position, Crates served as an assistant principal at a Des Plaines elementary school and held business-related positions for districts in Chicago, Lake Zurich and Phoenix. A 1970 Eastern Illinois University graduate with a degree in elementary education, she later earned her master’s and doctorate from Northern Illinois University, where she also serves as an adjunct professor. The recipient of numerous awards throughout her career, including the 2008 Monarch Award from the Illinois Association of School Business Officials and the 2006 Those Who Excel award from the Illinois State Board of Education, she resides in Algonquin. 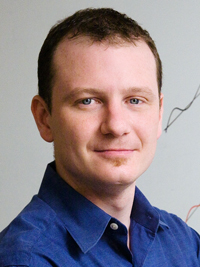 An assistant professor in both the Department of Chemistry and the Institute for Genomic Biology at the University of Illinois at Urbana-Champaign, Dr. Ryan Bailey was recognized with a teaching excellence award by the institution in 2008. After receiving his degree in chemistry from Eastern Illinois University in 1999, he enrolled in graduate school at Northwestern University, earning his doctorate in 2004. 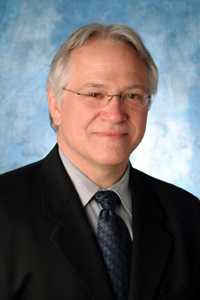 The recipient of numerous awards, including fellowships from the Northwestern University president and the American Chemical Society, his doctoral research led to eleven publications in noted journals and opened new and highly important areas of research in chemical and biological sensor development. 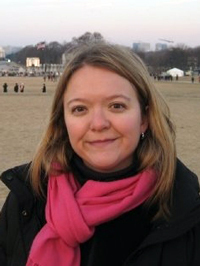 Following post-doctoral research at the California Institute of Technology with a joint appointment at the Institute for Systems Biology in Seattle, Bailey joined the faculty at Illinois. In 2007 he was selected as an inaugural recipient of the National Institutes of Health Director’s New Innovator Award following a review by 262 experts in the scientific community. One of only three chemists nationwide recognized with this honor, the award included a $1.5 million grant to support his research focused on developing new technologies for the personalized screening of genes and proteins for signs of cancer and other diseases. He resides in Urbana with his wife, Maria ’98. An associate in the Washington, DC, law firm of Mehri & Skalet since 2007, Ellen Eardley is an advocate for individuals who have endured race or gender discrimination. She is the lead associate for the Women on Wall Street project, a venture which aims to ensure gender equality for women in the financial services industry. Recently, she and her colleagues secured a $24.4 million verdict in a ground-breaking lawsuit against an insurance company which had prohibited the sale of life insurance to African-Americans in the early to mid-20th century. After graduating from Eastern Illinois University with a degree in English, she simultaneously earned a master’s in women’s studies and a law degree from the University of Cincinnati in 2003. Having graduated first in her law class of 140 students, she also received the Lawrence Maxwell Memorial Advocacy Prize for outstanding oral advocacy. In 2003, Eardley was awarded the prestigious Simpson Thacher and Bartlett Equal Justice Works Fellowship at the National Women’s Law Center in Washington, one of the most competitive women’s advocacy positions in the nation. 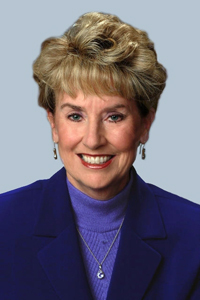 Upon completion of her fellowship in 2005, she joined the firm of Woodley & McGillivary in DC, where she won a sexual harassment lawsuit trial on behalf of four female firefighters in Jackson, Mississippi, prevailed in a Fair Labor Standards Act case before the US Court of Appeals for the 8th Circuit regarding the Fair Labor Standards Act and wrote an effective brief to the US Supreme Court protecting her 8th Circuit victory. A member of the EIU Alumni Association, she and her husband, Brett Cottrell, reside in Washington, DC.